Singapore and Milpitas, CA — March 14, 2006 — InnoMedia™, a leading supplier of Internet and broadband access IP telephony solutions, today unveiled the new generation of advanced IP videophones with state-of-the-art H.264 video compression technology, enabling stunning and life-like video communication with unmatched sharpness and clarity. 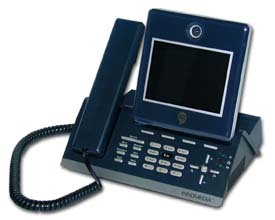 The InnoMedia MTA 5550 videophones feature a professional design, with advanced features such as Set-based 3-Party video conferencing, USB Connectivity, MP3 Ringtones, as well as a simple to use “TAB” based graphical user interface, making it the ideal videophone for a residence, home or corporate office. On top of this, it inherits the market tested SIP compatibility of the current Videophone family, ensuring seamless integration into carrier networks including NGN networks and 3G mobile systems. The MTA 5550 is equipped with ITU-T H.264 codec, an advanced, state-of-the-art video codec for stunning high quality video images at remarkably low data rates. The H.264 standard, also known as MPEG-4 Part 10 or AVC, is adopted by the industry as the next generation video compression standard for a wide range of applications from narrow band video communications to high definition high quality broadcast applications. This translates to clear and crisp video images for tele-conferencing never seen before with existing equipment or technology. More importantly, its high compression efficiency achieves the quality with significantly less bandwidth, to facilitate mass deployment of video telephony to consumers. “The InnoMedia MTA 5550, with its professional design and H.264 video compression technology, is further equipped with a Set-based 3-party video conferencing capability, MP3 support and many more features. The MTA 5550 is the most powerful and feature packed video appliance for the home and office,” says Mr. Alex Chua, Senior Director, Product Management, InnoMedia Pte Ltd. The MTA 5550 has a powerful video engine that allows for 3-party video calls to be made without the need for server-based equipment. Therefore, initiating a multi-party video chat is now possible without having to deploy expensive network equipment. The MTA 5550 is also equipped with an audio engine that supports MP3 playback of personal ringtones and media files, delivering a complete multimedia experience. The MTA 5550 is equipped with two USB ports for accessories and interconnectivity. Users can connect various accessories such as wireless 802.11 USB sticks for wireless access to the router or even connect a flash drive for downloading of ringtones and video files. 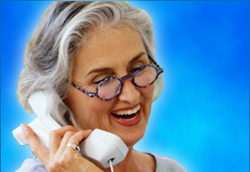 With this new capability, the interconnectivity to the videophone can be stretched to its fullest potential. The MTA 5550 is equipped with a modern graphical interface that provides a user-friendly method of menu navigation, using a TAB based concept that allows the user to easily navigate and access the rich set of features available in the videophone. The system is also equipped with an enhanced comprehensive Contacts Manager for keeping track of personal contacts with multiple number entries and photo identification, making it extremely convenient to keep in touch with loved ones, friends and colleagues.